Welcome to The MapleMoney Show, the podcast that helps Canadians improve their personal finances to create lasting financial freedom. I’m your host, TomDrake, the founder of MapleMoney, where I’ve been writing about all things related to personal finance since 2009. In today’s episode, my guest and I tackle money lessons from the world’s most well-known book, the Bible. 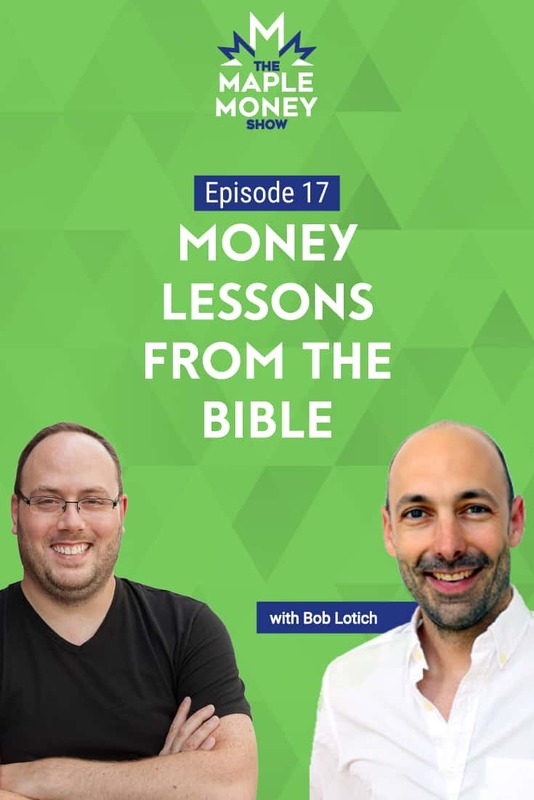 Bob Lotich is the founder of Seedtime, a resource for people who are looking for Biblical wisdom on how to handle their money. I asked Bob what the Bible has to say about topics such as going into debt, hoarding, even the principles of budgeting and financial planning. We discuss the importance of giving, and the idea that it’s more blessed to give than to receive. Lastly, Bob sets the facts straight about an oft-misquoted Bible verse. Is money really the root of all evil? Listen in to find out. Even if you’re not a Christian, you’ll get something out of this episode, as it’s packed with practical advice that will help you manage your money and help others. This week’s show is sponsored by Borrowell, Canada’s leading credit education company. My wife and I receive our free credit scores and credit reports, along with an update each month via email. I look forward to these updates, to see whether my credit score has improved or not. You can do the same. Get your free credit score from Borrowell today. Bob explains the feeling of paying off his own debt, including his mortgage. Bob shares stories from the bible that can offer a lesson on budgeting and planning your finances. What did Jesus mean when he said “It’s more blessed to give than to receive”? Bob explains the principle of sowing and reaping. What does the Bible say about tithing, and why is it such a controversial topic?